Killer Instinct Season 2 early access is here and we’re excited to announce our first online tournament series to celebrate the official release! Introducing Online Warrior Championships presented by Rushdown LIVE! Alex Valle will host a series of online tournaments this fall open to anybody in North America to see who’s the best online warrior in Killer Instinct. The tournament will feature special guest commentary and an amazingly stacked roster of competitors hungry to win cash, prizes, and nationwide bragging rights! 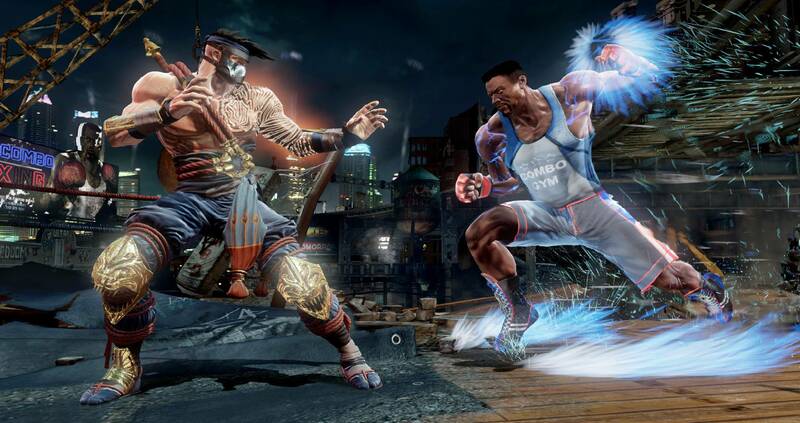 Killer Instinct net play makes it possible to have competitive coast to coast battles. This is a perfect opportunity to grow the Killer Instinct scene with new a major update and new interest brewing in the fighting game community. New online warriors can showcase their talents among tournament veterans which will make for an entertaining event the world can see! Will the event be streamed? Registration is $20 to enter the tournament. $15 of the registration fee will go towards prizing and $5 goes toward servicing the tournament (project managing, commentary, online bracketing, stream, and PayPal fees). Tournament will also be capped at 64 players so first come, first serve! Registration will close the Friday before the event or if 64 players are reached. Whichever comes first! 5. Click Send and you’re set! Or simply click the “Buy Now” button below! Make sure to add a note(See step 4!) before finalizing your purchase! All stages are allowed and picked by host/winner. Use of turbo or macros are not allowed. Players must use their Xbox One gamertag they registered with and cannot have someone play in their place. The tournament is only open to North American online warriors at this time. 13 years and older only. Must have a legal guardian register if under 18. Must have a minimum connection of 2 mbp upload speed to register! To verify bandwidth speeds: go to http://www.speedtest.net/ , click “Begin Test”, click “Share This Result”, copy the link, and post in PayPal “Add a Memo” section during registration. Will there be seeding and online brackets? Yes! We are seeding by region and recent major tournament accomplishments. PayPal “Add a note” section will let us know your region and recent major tournament results will be used from EVO2014 – TFC. Online brackets will be available on our http://levelup.challonge.com page soon after registration closes. What do I do on tournament day? Tournament instructions will be posted closer to the event as they are being finalized. What are my tournament instructions? Communication is key to success for the Online Warrior Championships event. Please read the following steps to communicate with players and staff admins. Please also note the Xfire tournament start time is NOT the official start time of the tournament. This is only the time we’re seeding the bracket. Actual tournament start time is 6PM PST! 5. Add your opponent to a lobby(Whoever creates the lobby doesn’t matter). If you are having issues connecting to each other, please see step 11. 6. After creating your lobby, standby and open up a web browser for the communication process. 11. Upon entering the channel, await instructions from channel admins to start your match, report your results, or standby for stream. Let the admins know if there are any connectivity issues with your opponent. The admins will assist you and communicate with the stream director on the outcome. 12. When reporting, the winner must report the exact scores to channel admins in order to advance in the bracket. If there’s any discrepancy of scoring, players MUST show proof of results either by video or screenshot and send the link to our admins. You can get a video of the most recent match from KI’s built in match recorder. Let’s hope we’re all honest here so this doesn’t happen. 13. In case of any dsyncs or technical difficulties, you have to replay the match. 14. If you’re on standby for a stream match, create a private lobby of 3 and invite “calipower”. The admins will instruct you when you’re next for stream showcase. 15. Last, if you cannot use Mibbit for internet relay chat, please use our twitch.tv/leveluplive chat. You must create an account on Twitch to do this if you don’t already have one. Follow step 11 from here. All signed up and ready to go. I submitted for the firat tournament and paypal said my payment was confirmed but I never received anything from you guys to say when this is happening. Whats goin on?